U.S. GRADE Network blog: Join us in Cleveland, OH! Join us in Cleveland, OH! 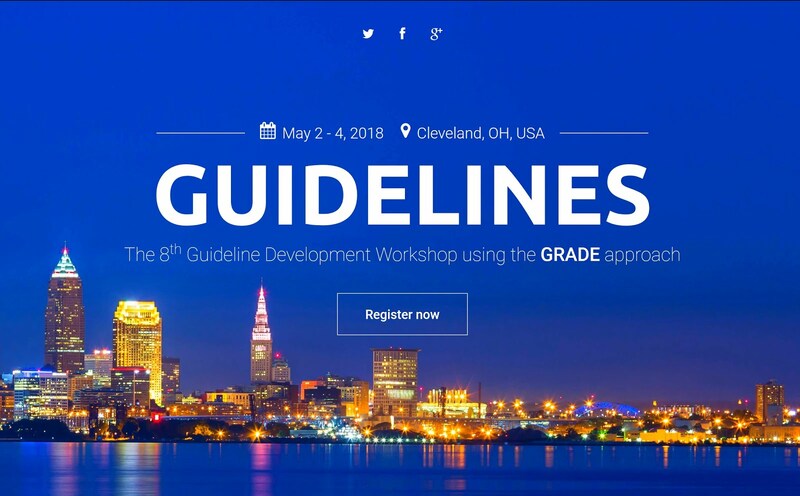 Our next Guideline Development Workshop using the GRADE approach will be held in Cleveland, OH from May 2nd through 4th, 2018. More information, including a proposed agenda, registration, and hotel information can be found at http://gradeconf.org/. As with every workshop, we encourage you to bring examples of your work and questions to discuss with participants at the workshop and the faculty.